I don’t know what to tell you. Blame the fact that I’m traveling every other week for this job. There are also all of the live blogs from years past that got cut off in the last few minutes as my poor, ancient MacBook put itself to sleep during those last precious battery percentages. Low batteries give me anxiety. I’m the guy who’s the first to notice when your phone’s screenshot is below 10 percent. 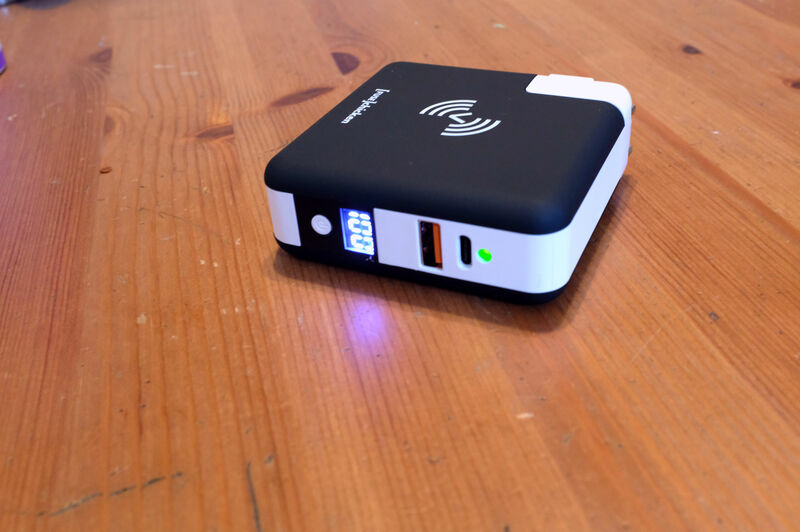 So the power bank has become a constant accessory in my life, both at home and on the road. Until last year, I used to carry a massive one that was just north of 20,000 mAh. The peace of mind to back pain ration seemed sensible enough, but I learned the hard way that not only do Chinese airports have a limit on battery size, they chuck yours in the trash without a second thought if you go over. It’s a quick way to lose $150. My dad once told me that he gave my sister and I boring first names because we had such an unusual surname. I have no idea if this is true, but it’s an interesting story and could well apply here. The Universal is a good example of making the most out of a form factor. It manages to jam a lot of features in without creating a Frankenstein’s Monster worthy of the name Fuse Chicken. On its face, the product looks like a black and white version of Amazon’s default power bricks. It serves that purpose, of course, coupled with a trio of swappable international wall adapters (bonus points for travelers). But the brick also sports a 6,700 mAh battery inside, so you can continue charging gadgets while unplugged. That’s ideal for a phone — you can keep a laptop alive for a bit as well, but you’re going to burn through that pretty quickly. There’s also a wireless charging pad up top, so you can power up another phone or, say, a new set of AirPods at the same time. The side of the device features a small display showing how much juice is left. 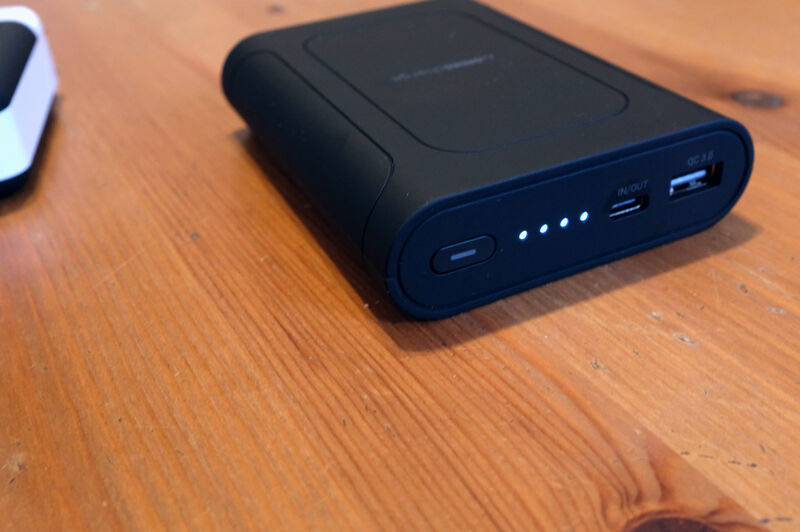 The Omni Mobile 12,800 mAh is a much more basic product than the company’s earliest offerings. There’s no display for power information here — instead you have to rely on four lights to let you know how much juice is left. There’s also a charging bad up top. As with most of the company’s products, I do quite like the design language. It’s subtle and unobtrusive and fits nicely inside a backpack. It’s definitely too big for carrying around in a pocket, however. Thanks to the wonders of USB, it will charge a laptop, as well, though once again, you’re going to run through that 12,800 mAh pretty quickly.